Studio One Expert sat down with Lee Boylan from PreSonus to get an exclusive hands on demo of the ATOM Pad Controller. 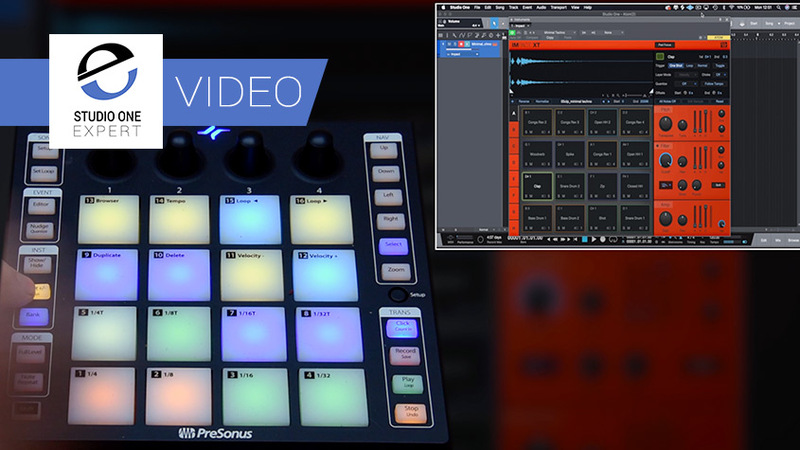 In this video Lee creates a track using the ATOM Pad Controller and no mouse, showing how it can help to speed up workflow with its tight integration with Studio One. and repeat mode without touching the mouse once. ATOM connects to your computer via USB and is compatible with most music production and performance software but it is absolutely amazing when used with PreSonus Studio One. ATOM and Studio One integrate tightly so you can create quickly and easily. Enjoy blazingly fast, professional-style workflow with ATOM’s navigation, editing, and loop-point-creation features and transport controls.